The first novel in the Elementalist Circle series. Daniel Stoneleigh has been placed literally out of his element in St. Petersburg, a city of water where he doesn’t even speak the language. 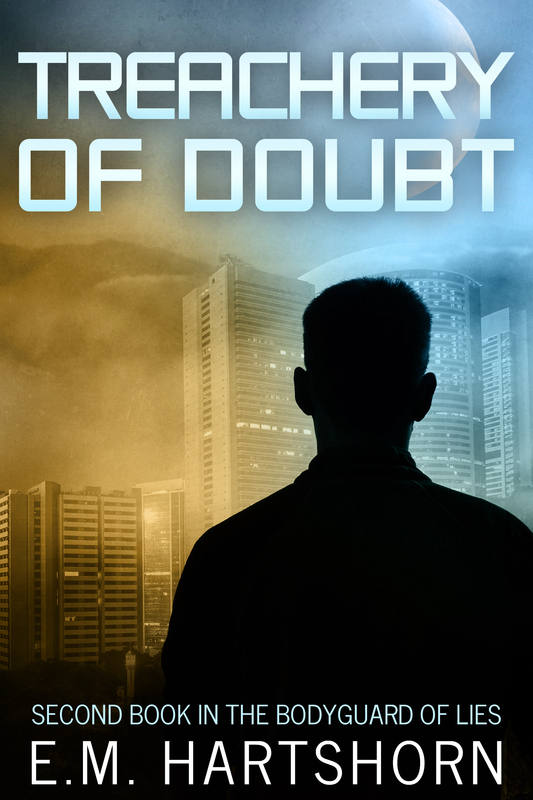 Beauty and danger await as a murder investigation leads to Sasha Logunov, a woman as powerful as he is who distrusts him for his very allegiances. They uncover a conspiracy and race to prevent disaster from overtaking the city, but only in trusting each other can they find safety, success — and love. The first chapter follows below, as an excerpt. Daniel Stoneleigh sighed with relief as he stepped out into Nevsky Prospekt, St. Petersburg’s main drag. A couple of hours, all his own, free from the Circle’s minder. Vee meant well, but Daniel questioned more and more whether he really wanted to serve the Elemental Lords. Maybe he should do as his father had and go rogue. Of course, the Circle had a price out on his father’s head, too. Until Daniel figured out a way around that particular hitch, he’d play by the Circle’s rules. Walking past the metro station, Daniel headed along the busy street. He didn’t mind being underground, but he much preferred the feel of the ground under his feet, the connection to the earth that gave him his power. He’d been a wreck for a week after he’d arrived in Russia; the long flight had drained him more than the fight with his cousin Melody and her husband — the fight that had gotten him exiled here. At the memory of how helpless he’d felt, he swung east, taking himself farther from the Neva River along the path of the strongest ley line in the city. Solid ground and lots of power underfoot for him. That was what he needed, although solid uninterrupted ground lines were not easy to find in this city of canals. The disrupted power kept him on a leash, serving an unspecified time under the close scrutiny of the Circle. He wouldn’t be docile forever, though. Anyone who could harness the force of an earthquake didn’t have it in him to be meek. Quiescent for a while, certainly, but a force to be reckoned with when he made his move. After he decided what his move would be. A bus cut across the street, its exhaust obscuring traffic briefly. Coughing, he waved the smoke away. He stepped forward without looking up and was plowed into by another pedestrian. “Prastite meenya,” a soft contralto muttered. “Watch where you’re going,” he snapped. Shaking her head, she stalked off toward the bus stop. The bus had already pulled away, but she didn’t slow her pace. 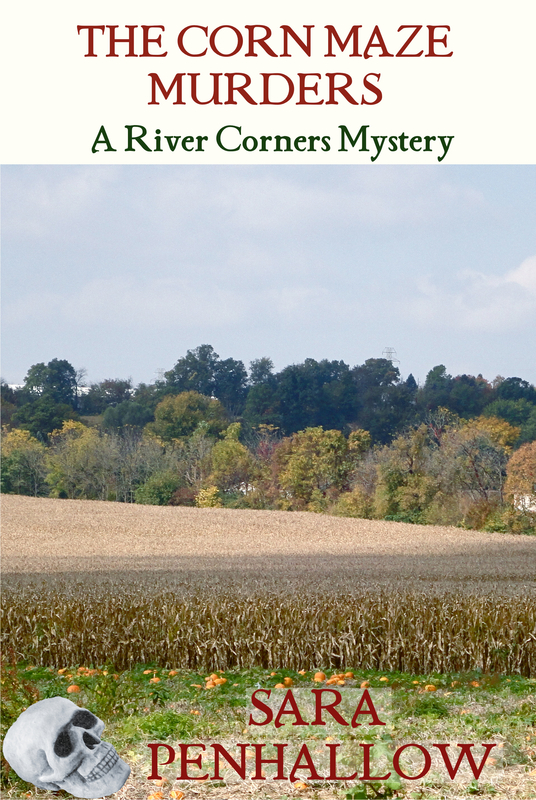 Daniel tried to tell himself that it was no wonder she ran into people, but he didn’t care. He liked the way her hips swayed as she hurried away from him, and he wondered what it would be like to run his hands over her curves. He only remembered staring at her eyes, yet somehow her entire face came clearly into his mind, sharp Russian features — straight nose and pointed chin — but duskier skin, olive that seemed exotic here in the north, skin that made her pink mouth with its full lips stand out, begging to be kissed. When she reached the bus stop, she glanced over her shoulder at him. Startled, Daniel realized he hadn’t moved. He turned away from her gaze and brought his thoughts back to his exile here. The Inner Circle had to have put him here for some reason, but it had been over a century since a violent earthquake had rocked this area. They wouldn’t need him to calm it. What were they playing at? Just keeping him out of trouble? He thought back to the meeting with the Circle. Three men, three women, all carefully masked so he could not identify them — one for each power the Circle traditionally wielded: fire, earth, air, water, lightning, and the sixth force, whatever that was. No one had wielded it for so long that there were only rumors of what the women who controlled it could do. The woman currently in that spot on the Circle was almost certainly a master of water or air. Daniel ignored the comment about the Stonesetters, the rival group of elementalists, with their own ideas of how elemental power should be used. From the Inner Circle’s point of view, turning to them would be the worst thing he could have done, and he had no way to prove that he wouldn’t have. At times like this, he cursed his father for leaving such a reputation for Daniel to live down to. All Daniel could do was demonstrate that he had no desire to rebel against the Elemental Circle. Wanting to rule it wasn’t rebelling, after all. “Because I am stronger than any other person in this room?” He certainly had the strongest resonance with earth. The representative for that element barely made a ripple in the forces Daniel could feel around him. Right. They were talking about crippling him for life, and they couldn’t trust him. Daniel pushed away the memory of that voice, so sharp and nasal– Brooklyn or Queens, one of those non-Manhattan accents he could never tell apart, like Fran Drescher’s. He reached deep below him to draw power from the ley line. Just feeling the solidness of the anchor tugging at him made him feel calmer. Taking a deep breath, he kept going, resolved not to think about the Circle. He would succeed here, and one day, he would have the respect of the Circle. And maybe the Earth seat on the Circle as well. He had the power for it; all he needed were the voices of backers. Sasha stared across the street at the rude man. She had felt him watching her the entire time she walked away. Why couldn’t he have looked sooner, so she wouldn’t miss her bus? Miklas would be waiting at home, and if they didn’t bleed the node soon, the others in the city would find the hidden node, and would find them. Others like the man with the sandy brown hair that she was looking at right now. She didn’t know whether he was of the Circle or of the Stonesetters, but it didn’t really matter. He had felt so solid when they had connected, and she had wished, for just a moment, that she could be a normal woman and let him steady her with his hands, wished that she could rest against him. But she’d had to pull away; she could feel his power. She didn’t want him to notice hers. Their family had been caretakers of the ley lines in Sankt Petrograd before the Circle had ever formed. 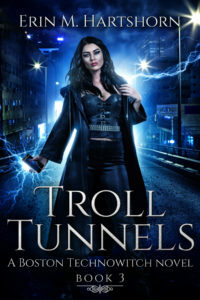 When the Circle had moved in, taking charge and killing any who wouldn’t join with them, her several-greats-grandparents had gone underground, cutting off all connection with their cousins, just to stay alive. It was one of their descendants who had first noticed the new node forming and who had decided it must stay hidden. Hidden, as she must be. One day, she would marry and bear children to tend the node after her, whether or not Miklas had married. She had no illusion about marrying for love, or even for the compelling physical attraction that this stranger had upon her. Her parents had barely spoken to each other until their deaths five years before. Her life would be much the same. There were other independent agents in Piter, others who commanded elements but did not owe allegiance to the Circle or their rivals, and she was expected to marry within their ranks. Her sons would have power; her daughters only would if she married someone else with power. To carry on tradition, she must. She wished any of the independents she had met moved her as this stranger had. He turned and walked away, and Sasha swallowed to keep from crying. It was foolish to want him to stay, to think that they had a connection, but she could not help herself. She wanted to see him again. No, at least with herself she could be honest. She wanted to be with him, to feel his arms around her, not steadying her or pushing her away after a random encounter. She wanted the strength of his power to cover her, keep her safe, even as she surrendered to the dangerous light in his brown eyes. What would a kiss feel like from such a man? He might well overwhelm her, but this would not be a bad thing. The next bus pulled up, preventing her from staring after his vanished form. Straightening her shoulders, she trod up the steps and handed her money to the conductor in exchange for her ticket. She was only a little late. Miklas might still be worried, but she would be home quickly enough. Then she would have to tell him about this new man in the city, if Miklas hadn’t felt him already. When she arrived, though, Miklas didn’t answer her call. And the door to their small apartment was not locked. Pushing the door open, Sasha glanced around before entering. The door was never unlocked. However, nobody was around. “Miklas?” she called softly once again, stepping inside and closing the door tightly behind her. Her voice echoed into emptiness. Sure that no unknown person was lurking in the shadows, Sasha bolted the door behind her. Miklas would have his keys. She just wished she knew why he had left in the first place, without locking the door behind him. Something was wrong. First, she checked the kitchen to see if her brother had left a note for her. He wouldn’t say anything about the node, but he should at least have said something about why he left. No note on the tiny kitchen table, its Formica peeling at the edges, or on their single gas burner. She called his name again, just to have some sound in the apartment, but there wasn’t anywhere to hide. She set her net bag on the table and collapsed into a chair. Really no place to hide now, if they’d been found here in their home. There was no evidence that he’d been taken, that their secret had been discovered at last, but how could she believe otherwise? This couldn’t be coincidence. She stared out the window at the gray sky and the weathered brown buildings in the neighborhood. 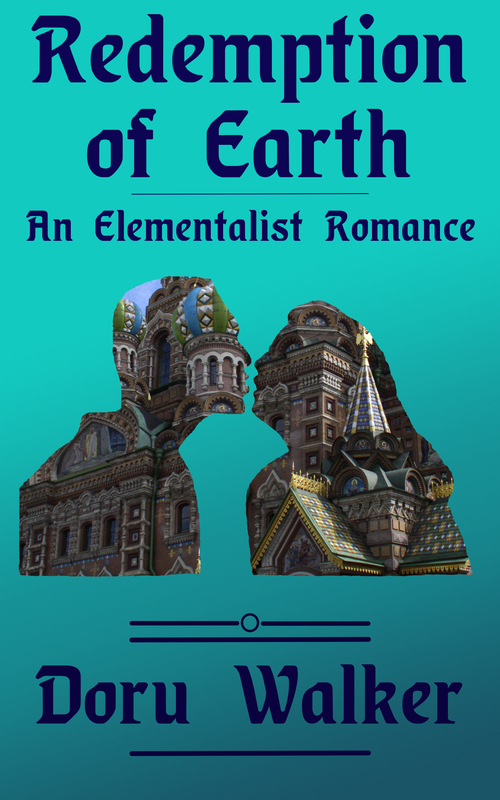 A new elemental had come to Piter, her beloved city, and now her brother was gone. Maybe the handsome stranger had not taken Miklas, but somehow his arrival had triggered it. The question was, what could she do about it? Go looking for Miklas? Of all the elementals in the city, he was the only one she could not sense at a distance. Perhaps she was wrong about that, though. The brown-haired stranger — she hadn’t known he was here until she literally ran into him. He was tapped deep into the lines, and yet he had passed unnoticed. What if there were others who could do the same? She had failed Miklas, assuming that she knew where all the threats were. Now they both would pay for her false pride. Looking for her brother was out. She couldn’t sense him, didn’t know where he would go if he were on his own, and had no idea where anyone who meant him harm would take him. Then there was the node to consider. The power of it prickled along the nape of her neck, a siren song of shifting currents. If it was not bled soon, the Elemental Circle, the Stonesetters — they would notice. No, someone already had. If they hadn’t, Miklas would be here. What now? There were others she could trust, others who wanted to stay independent of the elemental politics, who came here to hide out of sight of the ones who called themselves the Circle or Stonesetters. If she didn’t hear from Miklas before nightfall — as late as that was in mid-summer — she would contact some of them, both to ask if they’d heard from Miklas and to see if they could help her with the node. She’d never tried to bleed it on her own. Her brother led; she followed, though she was as strong as he. Thomas would be a good choice. He was old enough not to mistake her request as a more personal interest in him. That might not have occurred to her before she ran into that stranger, but now she was hyper-aware, wanting so much to connect with someone who understood her. If this sounds interesting to you and you’d like to buy it, it’s available at all the usual suspects: Amazon (U.S. U.K. De Es Fr It), Barnes & Noble, Kobo, Smashwords. Tagged Doru Walker, Redemption of Earth. Sounds promising, but, as per usual, I’ll have to wait for a hard copy. Have you thought of audio for those who listen while walking, exercising or just because ? I have indeed thought about audio, and, as with trade paper, it will require cash outlay — either to purchase decent quality mic or to pay for a reader and production. ADX, Audible’s self-pub arm, allows for either option. The former option is less expensive (and Garage Band on the Apple allows for manipulation of the audio files), but would require many hours of recording (let’s guess the first one would take at least twice as many hours as the final recording) with quiet background. So those are the obstacles. The plan is to start tackling them when the books are bringing in enough money to cover the expenses necessary (true for both audio and paper). I’m getting there . . . I love the cover! And, isn’t it nice that you can give real directions for the city? Thank you! I put in all my favorite places! I’d love to have mine as audio too but the money isn’t there…and I’m certainly not going to read it out loud! I hear you on the money not being there. Being on the bootstrap plan, I figure I’m likely to record the first few books myself, once I actually buy a decent microphone, although I also acknowledge that the first one is likely to take an entire week of my time, and even after that, I’ll probably lose 2-3 days per recording. Which is writing time, time for creating new work that I’m losing. That’s where the tradeoff comes. If having the additional format available increases income, though, eventually I’ll be able to pay others to do the work for me.